Butterfly Reflections, Ink. : So Colorful! Hey y'all! 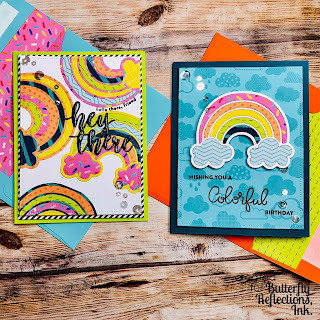 Kelli here again sharing two bright and cheery cards for you all! I used the leftovers from the first card to make the second card! First, I die cut several different colors from the Box of Crayons 6x6 Paper Pad by Shimelle using the Pattern Happy Colorful Day Dies. 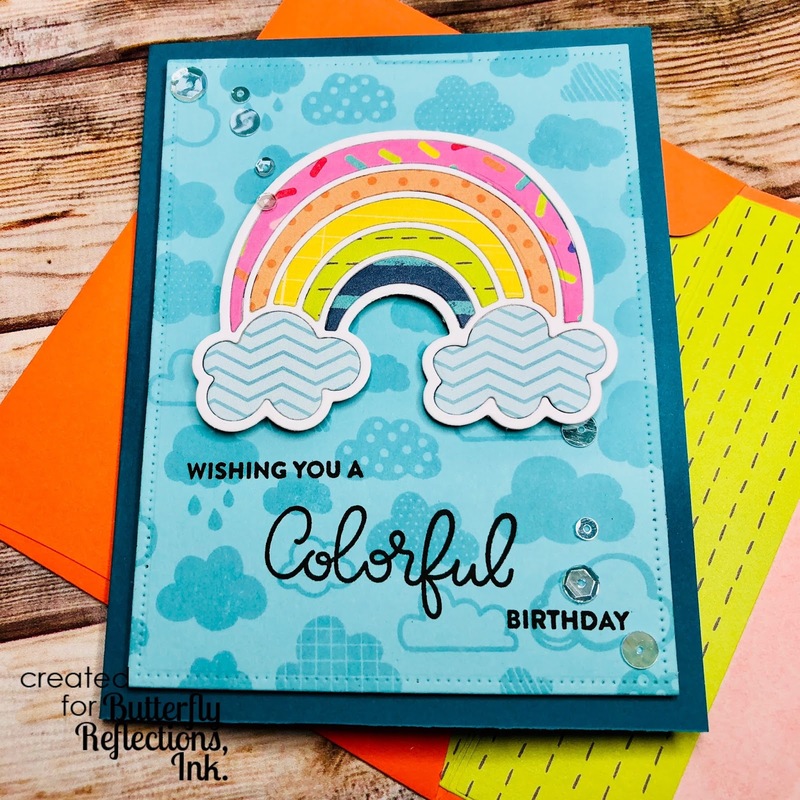 Then, for the blue background card, I stamped the Pattern Happy Cloudy Day Background Stamp on Lawn Fawn Mermaid cardstock using Lawn Fawn Mermaid Ink. I stamped the sentiment from Pattern Happy Colorful Day Stamp Set. 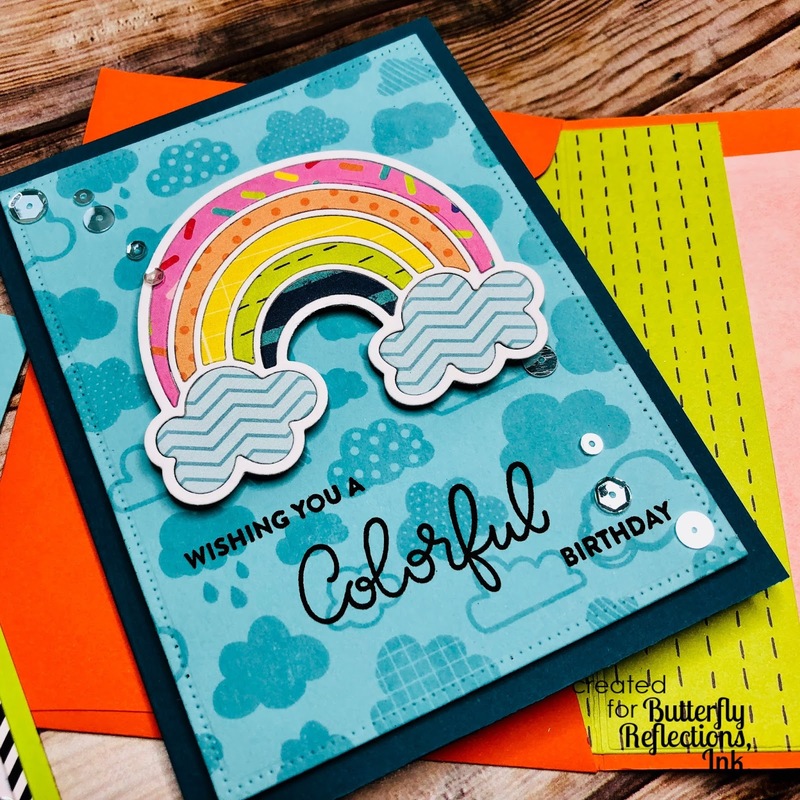 For the second card, I used the left overs from the previous die cutting and glued it on to white cardstock. 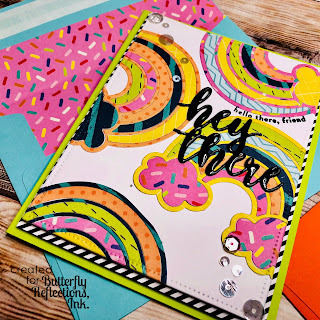 Then, I stamped the "hello there, friend" sentiment from the Pattern Happy Suntiments Stamp set and die cut the "Hey There" from the Concord & 9th Hey There Die. 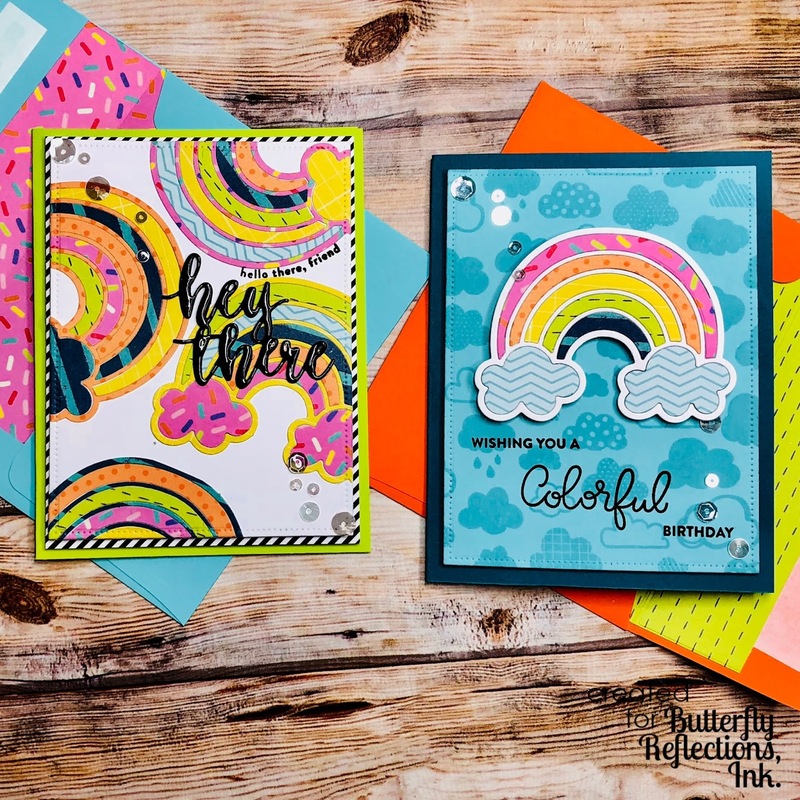 Super easy to get two for one cards! Thanks for joining me and leave me a comment to let me know what you think!